Motorcyclists face challenges each time they decide to ride their motorcycle. Challenges can include distracted or negligent drivers, hazardous road conditions, poor weather conditions, or defective motorcycle parts. Sadly, you can be the safest rider in Maryland and still be severely injured in a motorcycle crash that is not your fault. 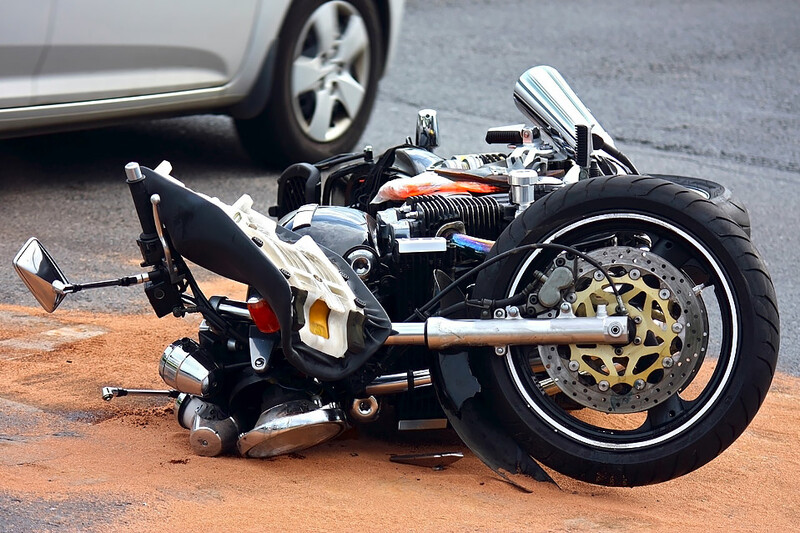 At Pinder Plotkin LLC, our Maryland motorcycle accident attorneys help victims recover compensation for medical bills, lost wages, and other damages when they are injured in a crash caused by another driver or another party. Call 410-661-9440 for a free consultation to learn how we can help you after a motorcycle accident. How Many Motorcyclists Are Killed Each Year in Accidents? According to the National Highway Traffic Safety Administration (NHTSA), 5,286 motorcyclists lost their lives in crashes during 2016. This number represented a 5.1 percent increase in motorcyclist deaths from 2015. It is estimated that riders are 28 times more likely to be killed per mile traveled than occupants in passenger vehicles. In 2016, 75 motorcyclists lost their lives because of motorcycle accidents in Maryland. The number of lives lost in motorcycle crashes increased from 2014 through 2016. It is estimated that 1,337 people are injured in motorcycle accidents in Maryland based on injury totals from 2012 through 2016. For detailed information about motorcycle accidents in Maryland, you can visit the MVA website. Even though the number of deaths and injuries caused by motorcycle crashes has not substantially increased in Maryland over the past five years, even one death is one too many for the rider’s family. For those who are injured, the pain, suffering, and financial losses can be substantial. The steps an accident victim takes immediately after a motorcycle crash can significantly impact the victim’s ability to recover full compensation for all damages. Our Maryland motorcycle accident attorneys understand that if a victim is traumatically injured, he or she may be unconscious or unable to move. Therefore, the victim’s physical condition impacts whether he or she can take any steps other than wait for emergency assistance. However, if you ride a motorcycle, it is important that you understand the steps you should take following an accident, if possible, to protect your legal rights. In some cases, if you are unable to take these steps, a friend or family member may help you by taking some of these steps on your behalf. Always call 911. You need to report any crash, regardless of the severity of the crash. If the other driver leaves, you must still report the hit-and-run crash to have a record of the accident for an insurance claim. Do not make your injuries worse. If you are injured, it is best to wait for EMS to arrive to assess your injuries. Do not hesitate to be transported to the emergency room if you or the emergency personnel believe it is necessary for your health. If you are unsure whether you were injured, you may want to let EMS take you to the emergency room. A refusal to go to the ER when EMS personnel recommend transport is noted on the accident report, which could be used by the insurance company to argue against your claim. Make videos and take photographs. If it is safe to do so, try to make videos and take photographs of the accident scene, including the vehicles involved in the crash and the surrounding area. Sometimes, a witness may snap a few pictures or make a video using your telephone if you are unable to move. Ask for names and contact information. In addition to asking for the names and contact information of everyone involved in the accident, you need to get this information from eyewitnesses. Sometimes a witness may leave the scene before a police officer arrives if no one is seriously injured. Therefore, you need to attempt to speak to witnesses before they leave to obtain their information. Eyewitness testimony can be a powerful piece of evidence to prove fault in a motorcycle accident. NEVER admit fault. Motorcyclists have a reputation for being reckless drivers. While this reputation is unfair and unfounded, insurance companies still use the misconception to their advantage. Do not give them any help by admitting fault or saying that you are sorry at the accident scene. Unfortunately, many riders are seriously injured in a crash with another vehicle. A motorcyclist is often unable to gather any evidence from the accident scene. Therefore, it is important to contact a Maryland motorcycle accident attorney as soon as possible for help. We Open an Investigation Immediately! The Pinder Plotkin Legal Team launches an immediate investigation when a victim retains our law firm. We act quickly to gather any evidence that remains at the accident scene to begin building a case against the party who caused the crash. Because Maryland is an at-fault state for vehicle crashes, you must prove another party was “at fault” for the crash before you can recover any money for an accident claim. In Chapter 3, we discuss proving fault in a motorcycle accident claim and how Pinder Plotkin LLC can help you recover compensation for your losses. Do you have questions about the information in this chapter? If so, call 410-661-9440 or visit Pinder Plotkin LLC online to speak with an attorney.